brand experience has never been more important. Keeping up with competition, current market trends and the needs of the consumer when creating a ground-breaking brand experience is no easy feat. We get it. This is why we’re here as and when you need, so you can focus on making the extraordinary happen. Looking for a convenient and affordable way to cut through the noise and let your customers try your products? 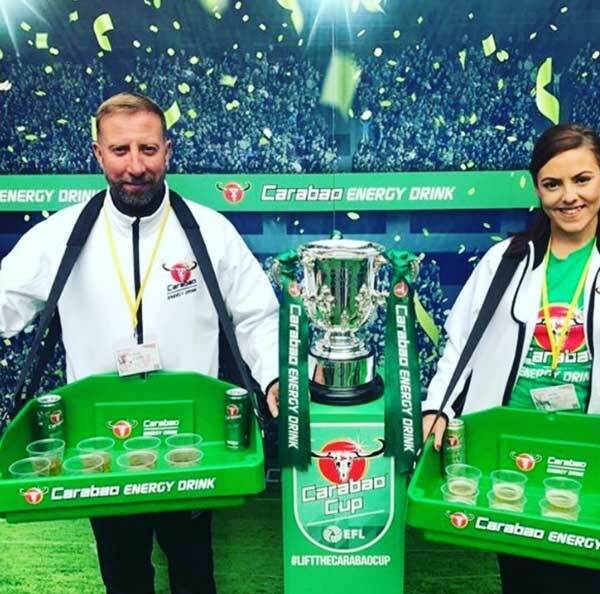 Whether it’s stadia sales, corporate events, in-store product sampling or guerrilla marketing, our premium quality and customisable sampling trays with adjustable straps allow you to introduce your brand to potential customers and leave a lasting impression. Proudly designed and made in Great Britain. Your brand identity is important to us. Trust our designers to deliver only the most impressive branded mobile vendor trays to suit your requirements, on time and on budget – no matter where in the world. Last minute order? Delivered on time. Our ‘off the shelf’ concession tray colours require NO minimum order quantity. Let us know what you need and by when and we’ll do everything in our power to get your order to you within 24 hours. 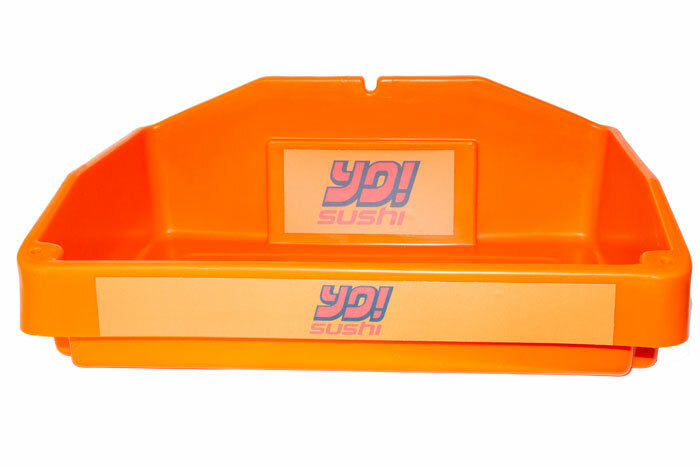 Our original plastic concession tray is ideal for both sales and sampling activity. Choose between 15 colours or match it to your exact brand colour. After a rustic look and feel? 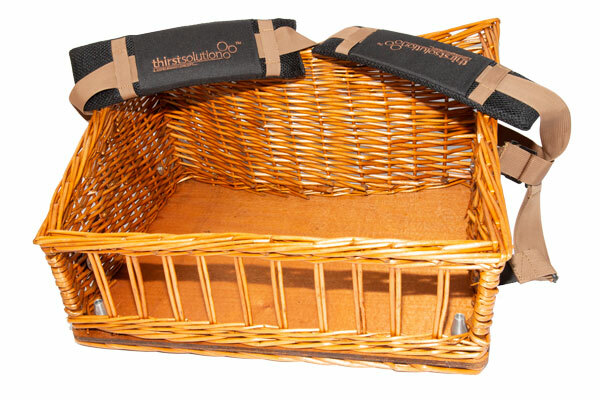 Our handmade premium wicker concession tray is built using the latest in reverse-harness technology to guarantee vendor comfort. Our best-selling ergonomic curved tray with adjustable strap protects the user from neck and back strain. Add a custom insert for ultimate product presentation. We build long-standing relationships with our clients. 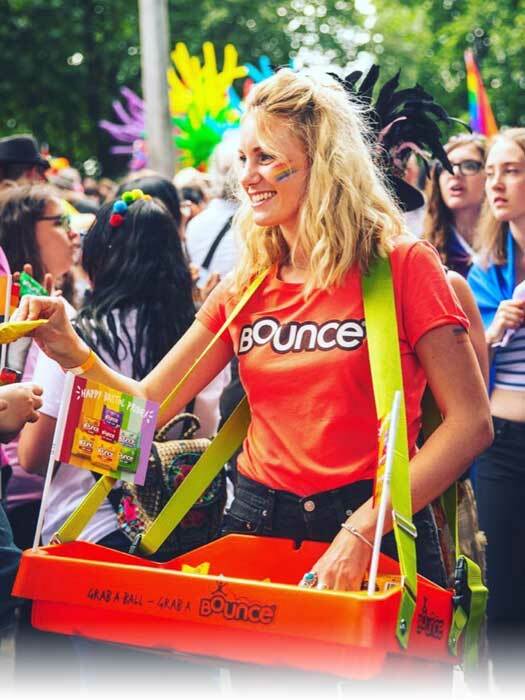 This is why some of the best global brands like Virgin Media, British Airways, Häagen-Dazs and Wagamama rely on us to deliver only the highest quality bespoke usherette trays. Check out the case studies below to see our trays in action. Every year, Wagamama plans a series of experiential activations to promote their seasonal menu release. The restaurant chain constantly requires a functional way to engage and connect with potential customers. This needs to be done in the most convenient way possible to create an exceptional brand experience. Initially opting for our classic customised tray option, the chain has since upgraded to our best-selling ergonomic tray with a custom insert. We designed this custom insert with the intention to place the menu at the centre of attention while ensuring it functions as storage for serviettes and chopsticks, too. 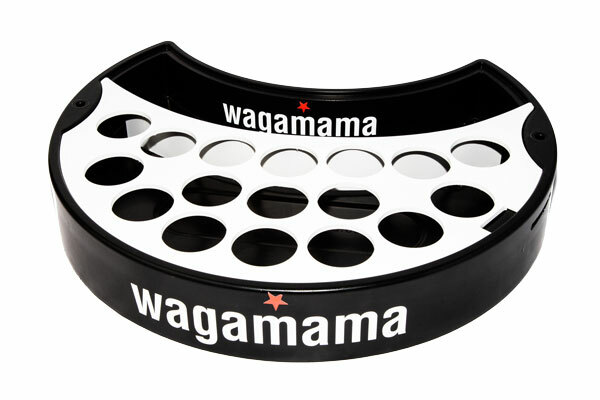 This tray proved to be a real game-changer for their promo team and the ideal way to get the public to experience the Wagamama brand first-hand. After a premium look and feel, we branded the trays with a custom cut vinyl logo to maximise the visual impact and bring the brand to life. An ever-changing consumer environment requires a solution that is both robust and versatile. 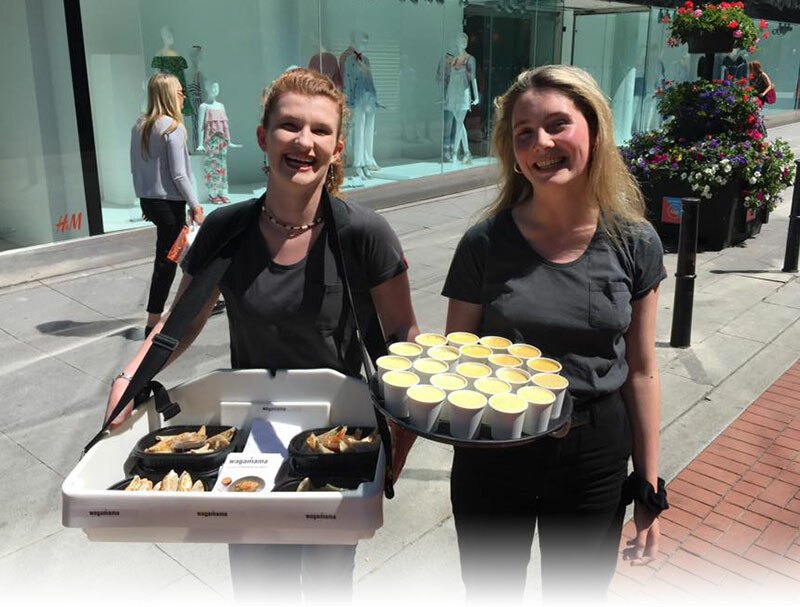 We’re proud to supply The Chefs’ Forum, an initiative aimed at connecting top chefs with local catering colleges with customised usherette trays designed to maximise interaction during events. Hosting numerous Taster Day events in collaboration with colleges across the country, The Chefs’ Forum needed a practical yet professional solution to show off and serve awe-inspiring creations and canapés to guests. We branded our classic jet black usherette tray with the platform’s logo and a custom insert to ensure the young aspiring chefs can confidently showcase their impressive dishes and engage with the audience at the same time. Ready to launch your next brand experience? Get in touch and we’ll get back to you within 2 hours.